A developmental delay is when a child does not reach their expected developmental milestones. These delays can be considered as either major or minor in their severity. A child who is temporarily lagging behind is not considered as developmentally delayed. These delays can occur in a variety of ways such astheir fine motor, language, social, or thinking skills. These delays can be caused by genetics or pregnancy and birth complications such as prematurity or infections. 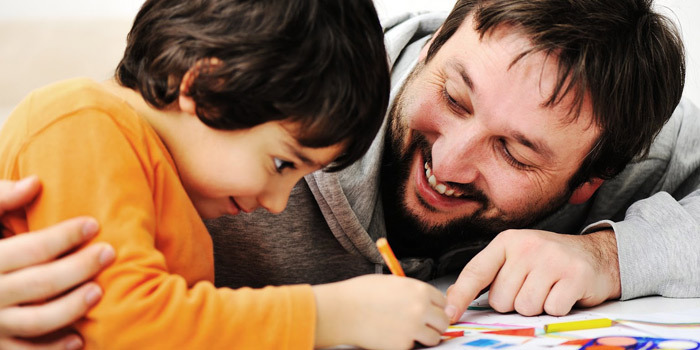 It is common for a parent to notice their child’s slow progression at a young age by comparing them to their peers’ developmental milestones. The first 3 years of a child’s life are the most crucial time for their development. Symptoms of a developmental delayvary depending on the type of delay the child experiences. A child may have a language and speech delay if by 3 to 4 months they are not responding to loud noises, are not babbling, or are not trying to imitate sounds. Symptoms for a vision delay for a 3 month old include not following moving objects with their eyes, not noticing hands, difficulty moving one or both eyes in all directions, and being cross eyed the majority of the time. For motor skill delays symptoms for a 3 to 4 month old include not reaching or grasping objects, not supporting their head well, not bringing objects to their mouth, and not pushing down with their legs when their feet are placed on a firm surface. Symptoms of a social and emotional delay in a 3 month old child include not smiling at people and being frightened by new people surrounding them. Signs of a cognitive delay for a 1 year old include not searching for hidden objects, not using gestures (waving), and not pointing to objects. To treat a speech delay it is important to seek an evaluation by a speech-language pathologist. This specialist will communicate with your child, read to them, reinforce speech throughout the day, and treat ear infections which may cause the delay to occur. When treating a vision delayyour child may need glasses or contact lenses, surgery, or an eye patch depending on their specific eye problem. Motor skill delays can be treated by encouraging more physical activity to get the child moving more often. In addition, physical therapy may be needed for gross motor delays. Treating a social or emotional delay includes treating problematic behaviour with medication as well as engaging in behavioural and skill oriented therapy. Lastly, to treat a cognitive delay educators and therapists can help to recommend specific steps to be taken at home in order to help your child develop cognitively. Developmental delays would qualify under a variety of different disability sections depending on the type of delay. For example, a cognitive delay would fall under the category mental functions. Mental functions required for everyday life includes adaptive functioning, memory, problem solving, goal setting, and judgment. Please note that a restriction in problem solving, goal setting, or judgements that markedly restricts adaptive functioning would also qualify. This restriction can be either all of the time, or for most of the time (at least 90% of the time). Children with these delay must be affected at least 90% of the time, despite medication or therapy, and require daily support and supervision due to difficulties interpreting ones environment. How To Apply for Disability Tax Credit for Developmental Delay?